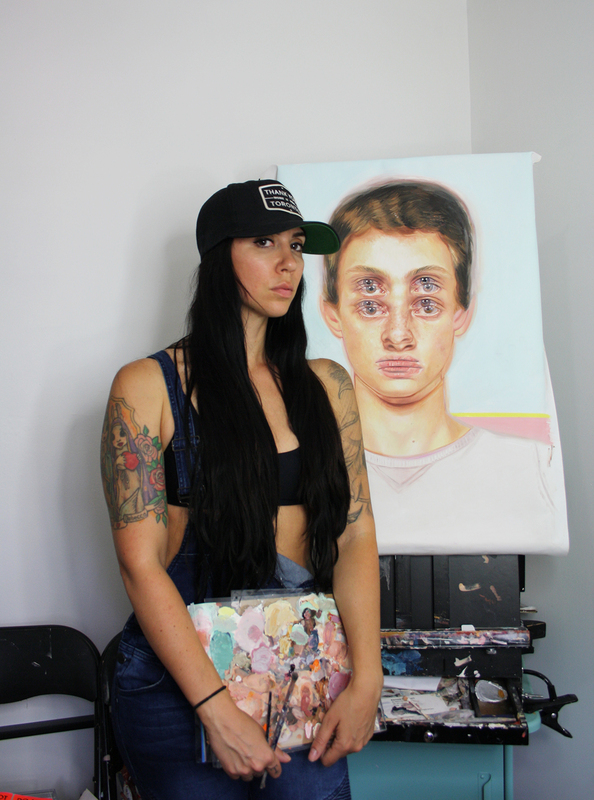 (LOS ANGELES, CA) – Thinkspace is pleased to present Voyage of The Insomniac, featuring new works by Toronto-based, Canadian, Québéquois artist Alex Garant. A painter known for her hyper-realistically rendered Op art portraits in which the faces and eyes of her subjects seem to skip their registers through image redoubling and superimposition, Garant is in search of the frenetic internal life of the sitter. Not unlike the fugitive flicker of a screen or the spectral layering of multiple film exposures, her portraits reveal an unsettling multiplicity, shifting beneath the subject’s surface. Garant creates faces that challenge the optics of identity and the reductive way in which it is perceived, with a visual gimmick that quite literally dislodges and displaces its coherence to produce skittering psychological images of fracture and ricochet. Garant has long been fascinated by the interaction of patterns and symmetry, and the resulting optics of their graphic repetition and layering. 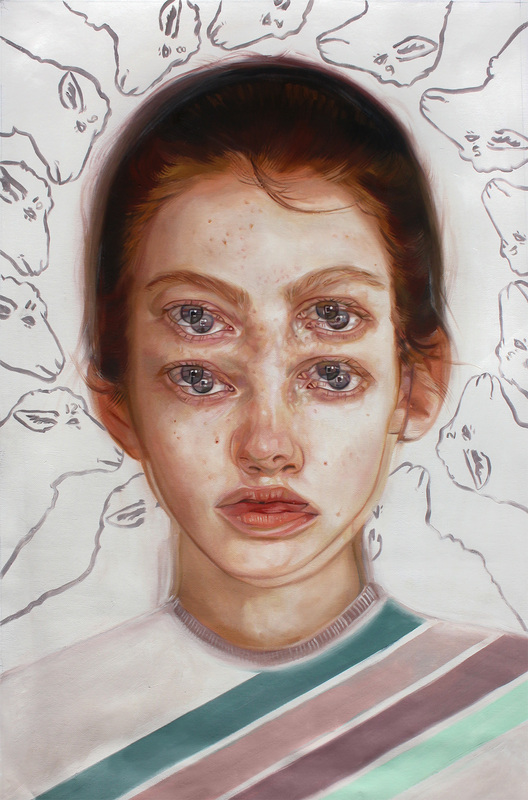 Her portraits begin with a series of superimposed drawings based on her sitters, actual individuals, and muses from her life, and pushes the familiar confines of portraiture to a newly strange and re-sensitized place of sensory confusion. Her subjects and their energy seem to erupt from within, testing the tensile seams of the skin, the body, as always, an insufficient vessel for the incongruous experience within.